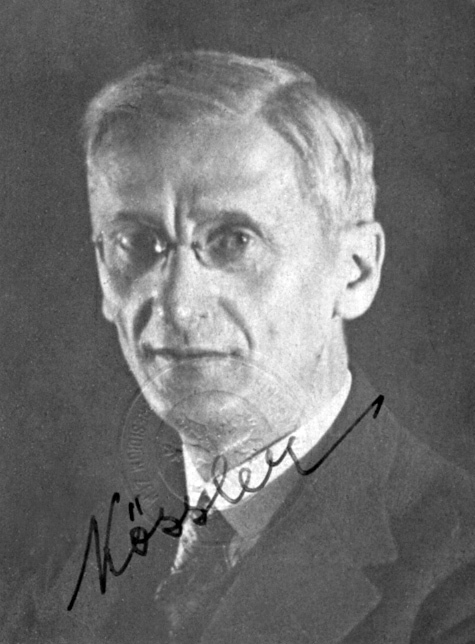 Description: Miloš Kössler (1884–1961), one of the best students of Professor Karel Petr, was not only a renowned specialist in theory of analytic functions and number theory but primarily excellent teacher. 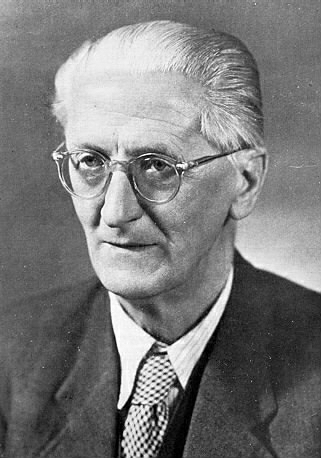 From 1922 to 1956, as a professor at the Charles University in Prague, he essentially influenced generations of students of mathematics and physics. Since 1917 he continuously worked till 1947 in the Board of the Union of Czechoslovak Mathematicians and Physicists contributing to its flowering. As its President during 1939–1943 he was instrumental in overcoming the difficult years of Nazi occupation. He was elected the Member of the Royal Czech Society of Sciences in 1923 and later he served as its secretary. His scientific significance was rightly acknowledged in 1953 when he became one of the first Corresponding Members of the Czechoslovak Academy of Sciences.